Fluctuations in parenting behaviour are thought to be important for the development of child psychopathology. 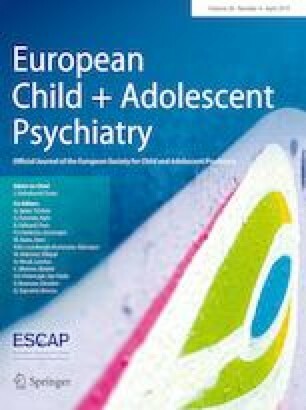 This study focusses on fluctuations in the parenting behaviour of mothers with 3–6-year-old children with a clinical diagnosis according to the International Statistical Classification of Diseases and Related Health Problems 10th Revision (ICD-10) (N = 39) and compared them with a control group of mothers with children without a clinical diagnosis (N = 41). In a laboratory setting, we compared the quality of mother–child interactions between both groups using three increasingly challenging co-operation tasks. At first, the mother and child interacted via a free play task. They then co-operated within a constructional play task and finally within a challenging problem-solving task. We analysed the mothers’ parenting behaviour using the Laboratory Parenting Assessment Battery (LAB-PAB) and children’s problem behaviours by means of their mothers’ rating using the Child Behavior Checklist 1 ½–5 (CBCL). The results corroborated our hypotheses. Mothers of the group of children with clinical diagnoses had a lower parenting quality and higher fluctuations in parenting behaviour across situations compared with the non-clinical group. Further analysis revealed that specific fluctuations in maternal involvement and hostility uniquely predicted child psychopathology, measured with the CBCL, showing incremental validity of fluctuations in maternal involvement, when controlling for parenting quality and maternal difficulties in emotion regulation, measured with the Difficulties in Emotional Regulation scale. The results are discussed in terms of their implications for clinical interventions, as well as theoretical implications and future research. We would like to thank Luisa Lampkemeyer, Lara Jegelka, and Mona Hillmann for the recruitment of the non-clinical group. Moreover, we thank the staff from the outpatient and day clinics of the Department of Child and Adolescent Psychiatry, Psychosomatics and Psychotherapy at the University Hospital of Münster. On behalf of all authors, the corresponding author states that there are no conflicts of interest. The study was approved by the Ethics Committee of the Medical Association of the Physicians Chamber Westfalen-Lippe. All mothers gave written consent and their children gave oral consent to participate in the study after a detailed explanation of the course of the study and data protection aspects. All participants got a 15 Euro voucher as an expense allowance.